Welcome to the Seeley Lions Club! The Seeley Lions Club is part of Lions International, an organization dedicated to serving communities and humanitarian needs. 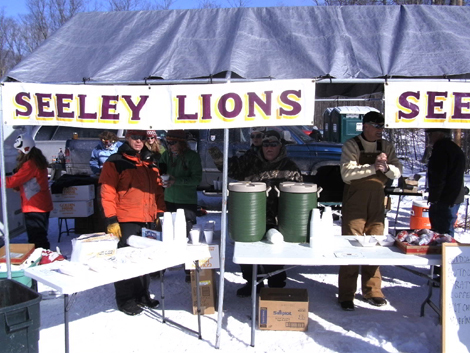 Our Lions Club is located in Seeley 10 miles north of Hayward, in beautiful northwest Wisconsin. 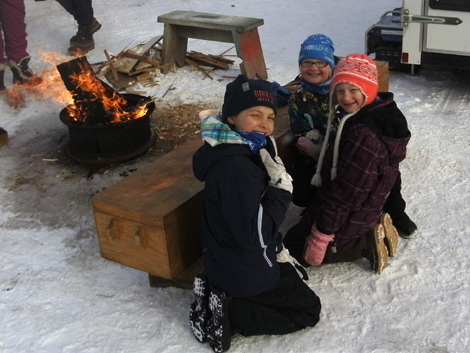 The local community we serve is nestled between the Namekagon River and the Seeley Hills, home of the American Birkebeiner. 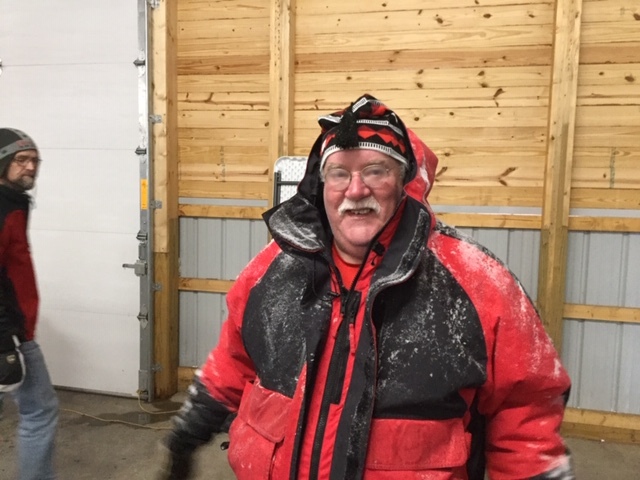 Our area is a destination for cross country skiers, mountain bikers, fishermen, ATVers and, snowmobilers, and many others who gather here for recreation and events year-round. Seeley has a rich history, a very involved community, and an active calendar. Our club has more than 35 members. We are active volunteers who devote time and energy to serving and improving our local community. Please see our Projects and Activities for more information. In addition, we support regional and national human service, eyesight and health care initiatives. We are committed to serving! 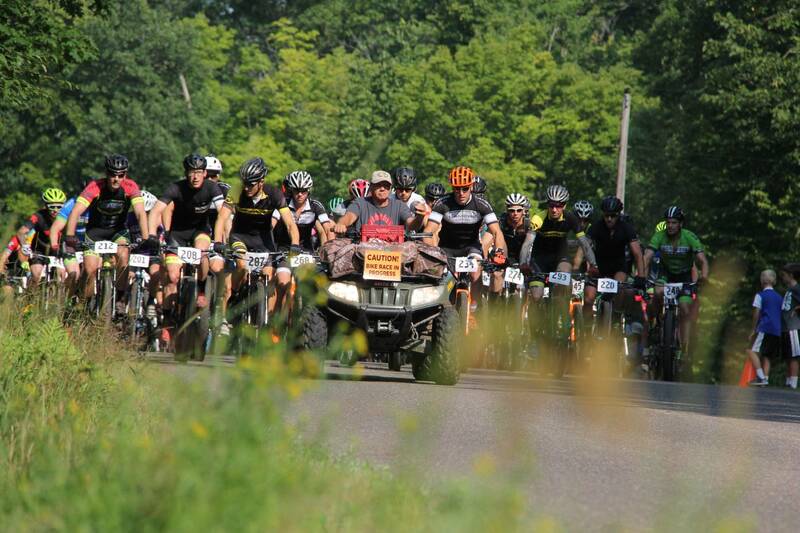 Freewheel Bike becomes Overall Sponsor of the 2019 Seeley Lions PreFat Bike Race. Norvado signs as Presenting Sponsor of the Expert Race. Our thanks to both of these great, new Sponsors! 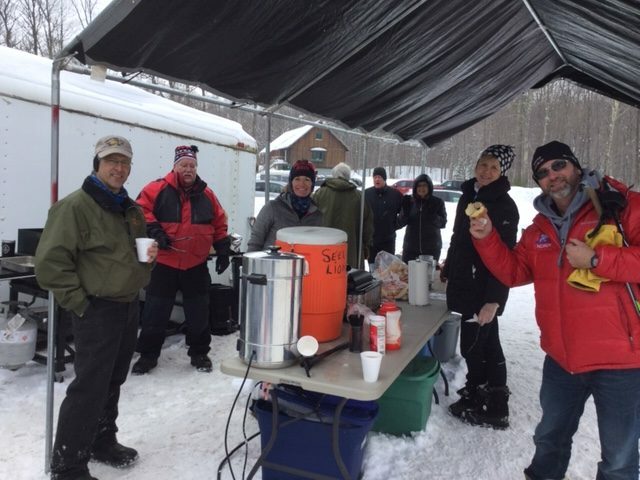 Seeley Lions serving Birkie Brats at the 2019 Birkie and the Fat Bike Birkie. August 17, 2019 - See you then! Thanks to all 2018 participants, sponsors and volunteers for another fantastic PreFat event! » Click here for 2019 PreFat info, plus 2018 results, and Post-Race Survey Results! !